You could be like everyone else and get email notifications from your smartphone with a cute little tune or you could bask in the aroma of your favorite smells. Isn’t there enough noise in your life already? Usually, smelling something on your phone might be a sign that it’s time to invest in some disinfectant wipes, but Scentee produces smells you actually want to smell… and you know where they’re coming from, which is always a bonus. Described as a “groundbreaking olfactory device,” Scentee brightens up your day with a variety of different smells. The somewhat bulky-looking attachment plugs into your earphone jack to transform your phone into a nose-pleasing device that lets you know you’ve emails and Facebook Likes with a burst of scent. A self-triggering option even lets you enjoy a special smell whenever you would like, instead of having to wait impatiently for someone to email you or like your latest entry on Facebook. 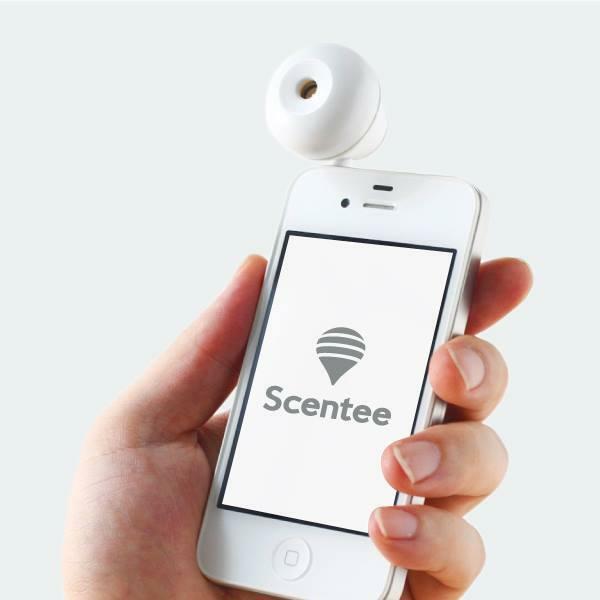 Scent cartridges are available for $4.99 each, while the Scentee device itself is $34.99. Unfortunately, shipping and handling for the products is $30 so the sense of smell is probably going to have to be pretty important in your life to make this seem even close to worthwhile. If you do decide to give the device a try, both the iPhone App and the Android App are free.